The CRM Solution Specialists with over 25 years experience! ​As one of the UK's leading business software providers we are uniquely placed to find exactly the right CRM system for your company from the best of breed solutions the market has to offer. Offering a complete installation, support & training package that won't be beaten. And we have installed over 3000 CRM systems over the years! 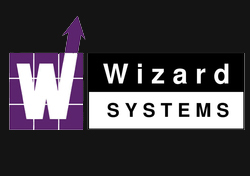 Established in 1993, Wizard systems are a UK based company who specialises in the implementation of complete and permanent software solutions to improve Sales, Marketing, Service and Support Productivity. These solutions are often referred to as CRM (Customer Relationship Management) solutions/systems. We provide a complete Installation and Support service for well known CRM solutions like GoldMine, Workbooks, Nimble, and Sage CRM. Our services include: pre-installation consultancy & advice, system setup, customisation, data migration, integrating applications together, report writing, training and full after sales support. We are also authorised resellers for a number of CRM add-on products including GoldBox, Inaport, MasterMine, Riva, QwikQuote, QuoteWerks, FaxRush, OmniRush, wMobile, IntelliClick, GatorMail, Constant Contact, Details Plus and more. Our client list has included well known organisations like British Telecom ('BT'), Hewlett Packard, Marshalls, Group 4, S4C, Oxfam, Met Office, Department of the Environment (Ireland), Ask Jeeves and the BBC. Most of our customers however are in the 'SME' sector (Small or medium sized organisations)! We cover the UK primarily, but also have many clients in Ireland, and many other locations around the World. Join a GotoMeeting with Wizard Systems.